KATHMANDU, Dec 1: The teaching-learning process at 600 government schools in the Kathmandu Valley was affected on Friday as the government teachers gathered at Bhrikutimandap in the capital to join protests organized by the Confederation of Nepalese Teachers (CNT). As part of the protests launched by CNT two months ago, the government teachers in the Valley did not go to their schools on Friday and staged protest rallies, demanding that the government fulfill their 26-point demand. 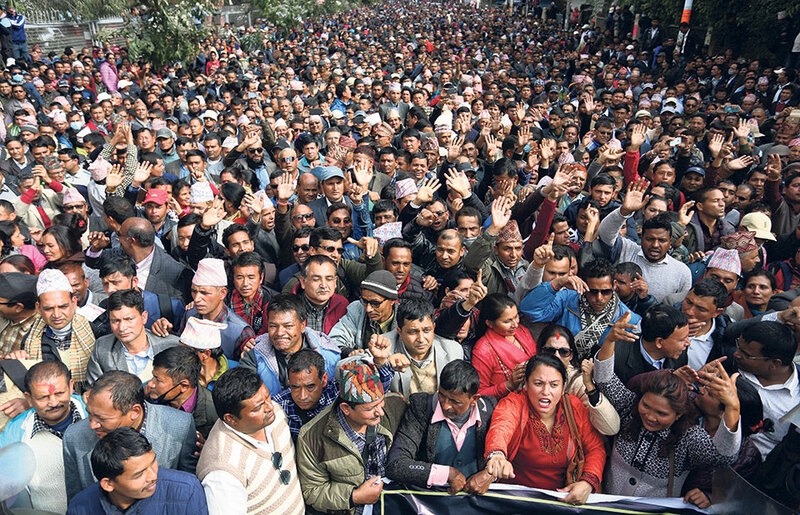 Their demands include not allowing the local units to oversee public schools, appoint 23,000 teachers under relief quota in the government quota of teachers, allocate 20 percent of the national budget to the education sector, provide rational salaries to Early Childhood Development (ECD) teachers and form a national education commission. About 25,000 teachers working at government schools across the country gathered in the Kathmandu valley, 'boycotting' their classes today, according to the CNT. “This is a shameless act by the government teachers,” said Suprabhat Bhandari, former president of the Guardians' Association Nepal, “But sadly, neither the student unions nor other stakeholders including the government said anything against this sheer violation of children's right to get education,” said Bhandari. CNT President Babu Ram Thapa, however, said that they were forced to protest against the government as it did not care about improving the quality of education at public schools. Thapa further said that they would continue their protest until their demands were addressed. “We are trying to improve the education sector and will continue our protests till the end,” he said. 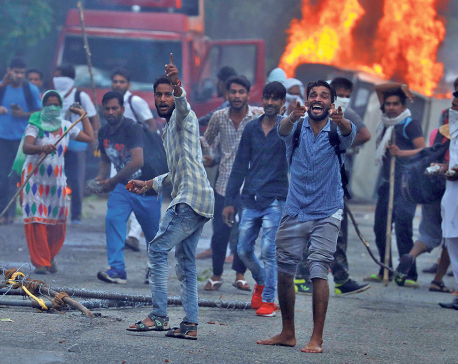 When reminded that the teachers' protest prevented the students from learning, Thapa claimed that they would teach the students next Saturday to compensate for the disruption of classes on Friday. "We will attend the schools next Saturday, though it's a holiday, and teach the students in compensation,” he added.